General Motors has been in the focus of the truck-hungry buyers since the beginning of the year and the debut of the new generation, light-duty Silverado and Sierra trucks. 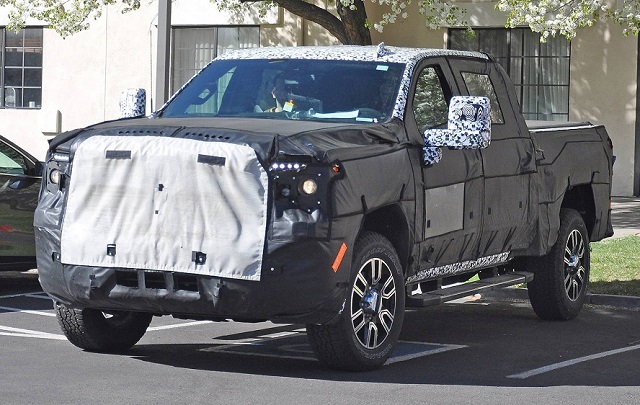 But as it usually goes, the half-ton models precede the introduction of the new gen HD versions and both Chevy and GMC heavy-duty utes have been spotted on the rereads while testing. The GMC Sierra test mules were covered with the thick camo and models appeared in several configurations including the Sierra 2500 and 3500 versions and the dual setup as well. The brand hasn’t revealed much about the new versions and while showed the teaser image of the Silverado HD, the GMC versions continue masked with the thick padding. Still, based on the recent reports and the spy photos we should expect that 2020 GMC Sierra 2500/3500 HD will follow the same path the half-ton version paved in terms of the design and features while will get the upgraded powertrains from the current generation. While the teaser image of the next Chevy Silverado HD reveals the distinctive front-end design with the new grille version, the 2020 GMC Sierra 2500/3500 HD should stay close to the half-ton version in terms of the design. 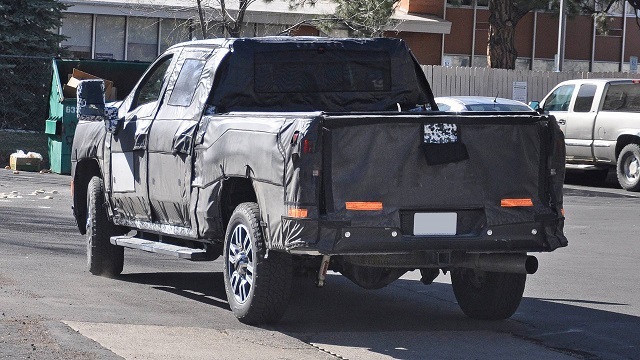 Based on what we can conclude from the spy photos, it seems that the thick camo hides the enlarged version of the curvier grille version we saw on the new-gen, light-duty Sierra. The same is with the headlights design and the similar C-shaped pattern will define the new style as the brand did also with the smaller truck and recently redesigned SUVs. The trucks should also arrive with the smother body lines and with the improved structure like the light-duty Sierra. The multi-material formula will provide improved structural strength while in the process the model should lose hundreds of pounds. The more luxurious versions of GM’s HD truck twins should also apply the same recipe inside the cabin as the light-duty model. The HD trucks will share the dash design and the new technologies with the smaller cousin and will also raise the stake with the new advanced safety systems. The Sierra HD will offer the latest infotainment platform with the smartphone compactivity features in every version. The range will start with the cloth upholstery and improve the material quality and finish with each upper grade while the ultra-luxury Denali version will boast the high-quality perforated leather upholstery and unique textures combined with the high-end comfort bad tech equipment. As for the powertrains, the 2020 GMC Sierra 2500/3500 HD should combine the improved structure and new style with the familiar engine options. The gasoline and turbodiesel units will appear again but with the improved performance and efficiency. A 6.0-liter V-8 gasoline in the mix with the six-speed automatic gearbox makes now 360 hp and torque of 380 pound-feet. But with some attention from the engineers, the engine should gain improved efficiency measures and possibly better performance. The new 10-speed automatic transmission is also in the rumors. The 6.6-liter Duramax V-8 should also move upward from the current 445 hp and 910 lb-ft of torque. All upgrades should also lead to greater towing and payload limits. The 2020 GMC Sierra 2500/3500 HD will likely make the debut early next year and go on sale later in the year. The price will likely go slightly up but the more details should emerge soon.